USNS BENJAMIN ISHERWOOD is one of the two ships in the HENRY J. KAISER - class that has never been finished. The construction of the ship was cancelled on August 15, 1993, when BENJAMIN ISHERWOOD was 95.3% complete. 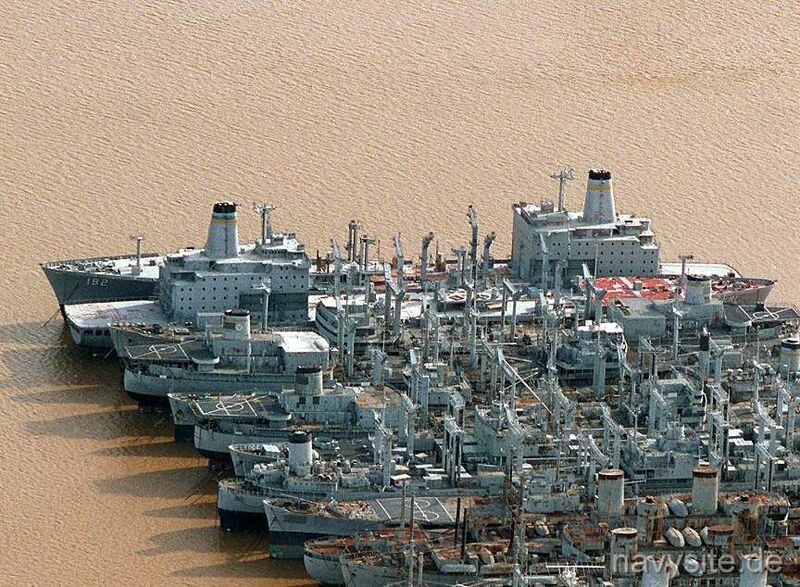 On February 1, 1999, the ship transferred to the Maritime Administration (Marad) and is currently berthed at the James River Reserve Fleet, Fort Eustis, Va. Originally, the contract for the construction of BENJAMIN ISHERWOOD was awarded to Pennsylvania Shipbuilding Company. This contract was cancelled on August 31, 1989, about one year after the ship was launched. On November 16, 1989, Tampa Shipbuilding Inc., Tampa, Fla., was awarded a new contract to complete the construction of BENJAMIN ISHERWOOD by the Naval Sea Systems Command. During performance of the contract, Tampa and NAVSEA had differing interpretations over responsibility for correction of defects or deficiencies for work performed by Pennsylvania Shipbuilding and concerning the amount of material necessary to complete the ships. Tampa experienced significant financial and performance problems which resulted in Tampa's failure to make progress to meet the T-AO 191 contract delivery date of May 29, 1992. The contract delivery date for BENJAMIN ISHERWOOD was extended to January 31, 1993, but Tampa was again unable to deliver the ship in time. 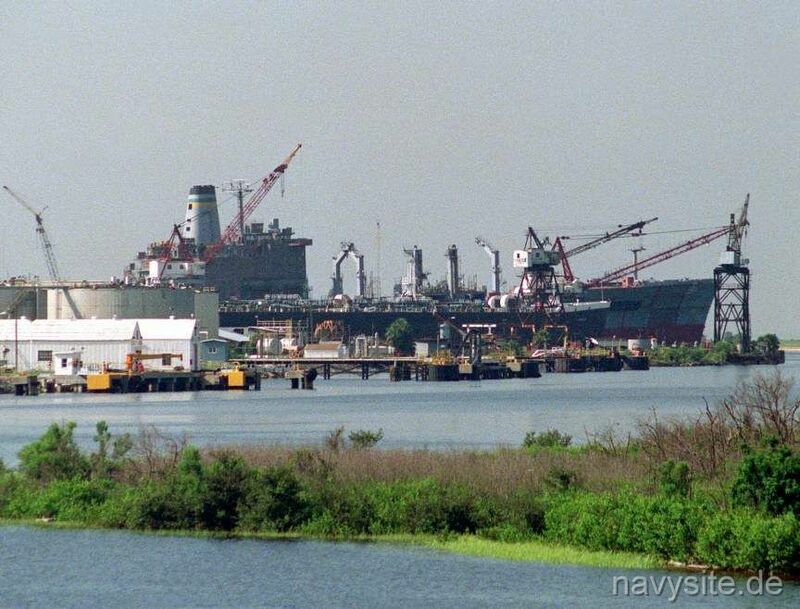 In 1993, NAVSEA's analysis indicated that transferring the ships to another facility would not add unacceptable cost or schedule delays, and that Tampa's continued performance of BENJAMIN ISHERWOOD's contract was not essential to the national defense. The ship was finally cancelled on August 15, 1993, and was stricken from the Navy list on December 29, 1997. Builder: Pennsylvania Shipbuilding Company and Tampa Shipbuilding Inc., Tampa, Fla. In 1844, at the age of 22, Benjamin joined the United States Navy and saw action during the Mexican War. Prior to this he worked for the Utica and Schenectady Railroad and trained under William C. Young, one of the most prominent engineers of that period. Isherwood then worked on the Croton Aqueduct, followed by an engineering job on the Erie Canal. Designing and constructing lighthouses for the Treasury Department was Isherwood’s last employment before joining the Navy. When the Mexican War ended, Benjamin Franklin Isherwood was assigned to the Washington Navy Yard where he assisted his old boss, Charles B. Stuart, in designing ships and experiments with steam as a source of power for propelling ships. 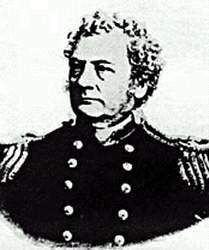 In 1861 Isherwood was appointed Engineer-in-Chief of the United States Navy and in 1862 became the first Chief of the Bureau of Steam engineering, a post he held for eight years. When the Civil War began the Navy had 28 steam vessels and during the war the number grew to 600. The design and construction of the machinery necessary to accomplish this was done by Isherwood. He designed ships that were fast enough to pursue the blockade runners. In 1863 and 1865 he published the first and second volumes of Experimental Researches in Steam Engineering which were translated into six languages and became a standard engineering text upon which future steam experimentation was based. In 1870-71 Isherwood conducted experiments that resulted in a propeller that was used by the Navy for the next 27 years. Benjamin Franklin Isherwood retired from the Navy in 1884. He died in 1915 and was buried in Oakland Cemetery. The steam engineering building at the United States Naval Academy in Annapolis, Maryland, is named “Isherwood Hall” in his honor. In the USNI proceedings of 1941 George W. Dyson stated that Isherwood might possibly be the greatest engineer the United States Navy had developed. The photo below is an official US Navy photo taken on January 28, 1996. It shows the BENJAMIN ISHERWOOD and her sistership HENRY ECKFORD laid-up in the National Defense Reserve Fleet on the James River in Virginia. Construction of both ships has never been finished.